Team India is currently at the top of the ICC Men’s Test Team Rankings with 125 points, 14 points ahead of second-placed South Africa. The young Indian team, led by Virat Kohli, has looked invincible over the last few years. India has won eight consecutive Test series in a row and look all set to win their ninth Test series against Sri Lanka. England and Australia are the only teams to have won nine consecutive Test series in a row. The Indian Cricket team holds numerous records in International Test Cricket. Let us have a look at the biggest innings win for India in Test Cricket history. 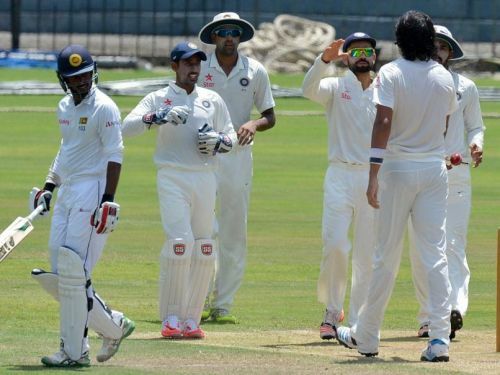 India defeated Sri Lanka on the 3rd day of the 3rd Test by an innings and 171 runs at the Pallekele International Cricket Stadium, Sri Lanka this year. 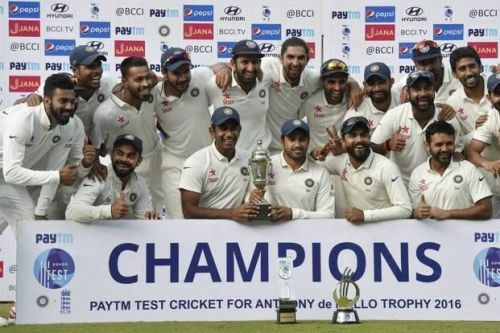 India dominated the Test series and eventually whitewashed Sri Lanka in their own backyard. Prior to the third Test match, the hosts, who had already lost the first two matches, were under tremendous pressure. India batted first and put a monumental score of 487 runs anchored by Shikhar Dhawan and Hardik Pandya, both of them scored a century. Sri Lankan team were shot out for a mere 135 runs in their first innings. The hosts were asked to follow-on by India. In the second innings, Sri Lankan failed to improve their batting and was bowled out for 181.